Scandinavia is a region steeped in history and beauty, and Sweden personifies that with its lakes, canals, archipelagos, and skies that glow with the famous and beautiful Aurora Borealis. Its culture is just as refined, with art galleries and museums commemorating everything from archeological history to guitars to ABBA. From skiing in Åre and visiting castles in Kalmar to riding a dogsled under the midnight sun in Kiruna or visiting the beaches and sea stacks of the island of Gotland, Sweden has a wide variety of activities to suit any traveler, any age, and any disposition. 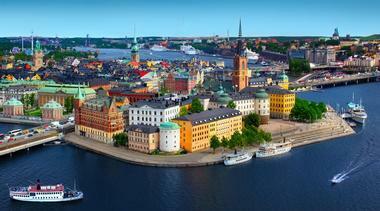 Stockholm is Sweden’s capital city, located on an archipelago of the Baltic Sea. 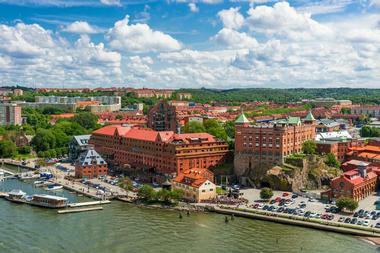 The city is comprised of 14 islands connected by bridges and navigable by road or boat, making it a truly unique and spectacular Nordic city to visit. There are hundreds of attractions in Stockholm to keep visitors busy and entertained, from singing karaoke at the ABBA Museum to exploring some of the 600 rooms and five museums at the Swedish Royal Palace. A tour by foot, bus, or boat will offer visitors a look at this vibrant city through the eyes of an experienced guide who can depict some of its rich and storied history. Abisko is home to Abisko National Park, where the beauty of the Swedish Lapland is abundant. 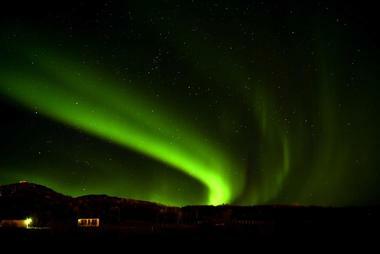 In the dark winter months, visitors can see the Aurora Borealis in all its glowing and effervescent beauty, and during the short summers, the midnight sun will shine down on Abisko for twenty-four hours a day. The remote wilderness of Abisko and the surrounding region makes it a perfect destination for outdoor enthusiasts, who will love the abundance of opportunities for hiking, biking, fishing, snowshoeing, or dog sledding through the birch trees and arctic tundra that is Abisko. 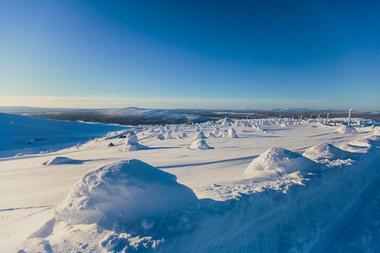 Åre is in the north of Sweden, surrounded by mountains. During the winter, Åre is home to the largest ski resort in Scandinavia, with over one hundred runs and over forty lifts. 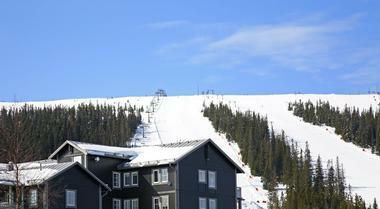 Tourists come from near and far to soar down the slopes at Åre amidst the beautiful scenery of the surrounding region. Once they are done with the slopes, they can ride a dogsled through the hills or snowshoe the paths by foot. In the summertime, Åre is a great destination for a number of other outdoor activities, including hiking, biking, horseback riding, and swimming. Gothenburg is one of the biggest cities in Sweden, and it is located along the Göta Canal, a 614-kilometer waterway built in the 19th century. The city is renowned for its canals, which give it an atmosphere much like Amsterdam, and its tree-lined main streets packed with cafes and shops. Visitors can tour the Gothenburg archipelago, take a boat tour through the canals of the city, or eat at one of Gothenburg’s restaurants, where seafood is a specialty. Gothenburg is also home to many museums and galleries, and its long history is sure to provide visitors with plenty to do. 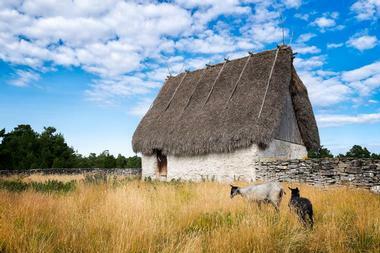 Gotland is an island in the Baltic Sea, and it is accessible by a ferry that leaves from the towns of Nynashamn and Oskarshamn. The trip takes about three hours. Once on the island, visitors can visit the main town of Visby, a walled medieval city full of cobbled streets and the ruins of old churches and buildings. They can also swim at Blå Lagunen, an old stone quarry that is now filled with clear blue water or explore the nature reserve of Digerhuvud, which extends for several kilometers along the coast and contains hundreds of stone sea stacks. Halmstad is a popular destination on the west coast of Sweden, famous for its long beaches, but the fun doesn’t stop there. 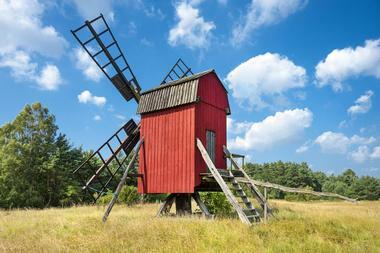 In Halmstad, art enthusiasts can enjoy Sweden’s largest art gallery, as well as the Harplinge Windmill ArtLab, the Halmstads Konsthall art gallery, and so many other places of artistic significance. As for museums and cultural history, Halmstad offers an open air museum called Hallandsgarden, Halmstad Castle, and a 12th century church ruin called Övraby Kyrkoruin. Once Halmstad has charmed visitors with its culture, they can head outdoors to the Danska Waterfalls or the Prins Bertils pathway. In Jönköping, in southern Sweden, the views of Lake Vättern serve as a backdrop to a place that is already beautiful in its own right. 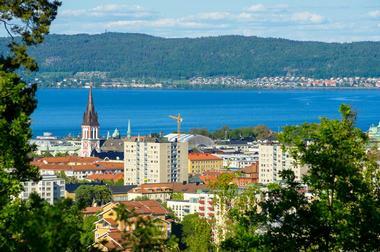 Conveniently located between three of Sweden’s largest cities – Stockholm, Gothenberg, and Malmo – Jönköping is home to some amazing natural beauty, from hills and meadows to lakes and wetlands. 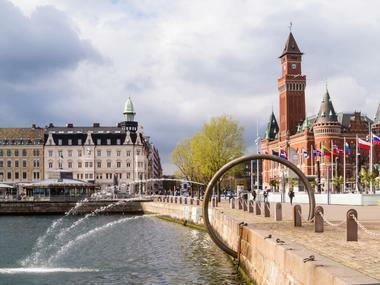 The city itself boasts a two-kilometer long beach right in the center of the city, and visitors will enjoy some of its many attractions, including The Match Museum, the Rosenlunds Rosarium, and the Rosenlundsbadet, which is a giant heated bath with indoor pools. 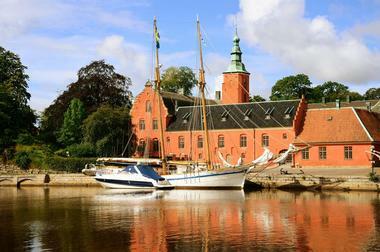 Kalmar is a city surrounded by water, with a city center on its own island. In Kalmar, visitors can expect all the benefits of a seaside location, from beaches to harbors, as well as a thriving city center that is full of unique history. Kalmar Castle, Kvarnholmen, and Castlesfjärden are just some of the sights that visitors will see on a walk through Kalmar, and they can even take a boat ride that will show them the city from a whole new perspective. After a walk throughout the area, Kalmar’s museums will offer some fascinating history about the region and the city’s maritime past. Karlstad, in central Sweden, is located just north of the massive Lake Vänern, which is home to hundreds of tiny islands. The city itself offers many museums and galleries for volunteers, including Värmlands Museum, The Brigade Museum, and the Sandgrund Lars Lerin Art Gallery. 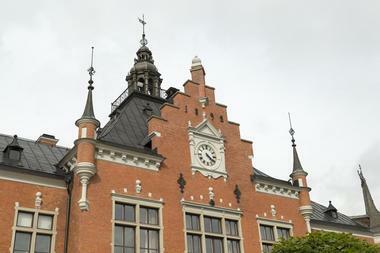 Visitors will also enjoy a visit to the Karlstad Cathedral, which was built in the 18th century and contains two model ships that hang from the rafters, as well as an impressive chandelier and the Old Stone Bridge, which is the longest in the country and serves as a perfect spot for a photograph. Kiruna in northern Sweden is an Arctic wonderland where visitors can see the midnight sun during the summer months and the spectacular northern lights during the dark winter months. The city and surrounding area is an outdoor enthusiast’s dream, with opportunities for hiking the Midnight Sun Trail, traveling by dogsled on a tour that can last anywhere from one hour to one week, snowmobiling, snowshoeing, skiing, and ice fishing. When the day is done, visitors can even spend a night in the world famous Ice Hotel, which is now open year round and gives guests the opportunity to spend the night in a room made entirely of ice. 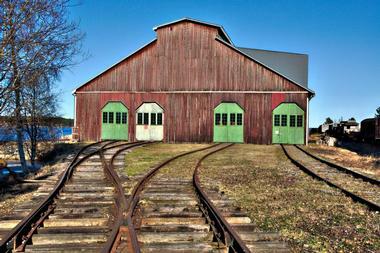 Linköping’s history dates back to medieval days when it served as the center of the region’s administration. 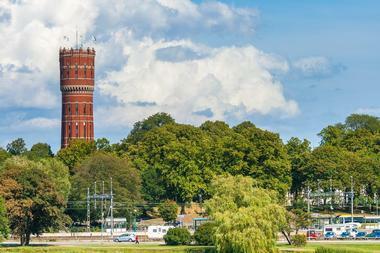 Today, Linköping is a small city with plenty of attractions, all within walking distance. Linköping Cathedral, one of the best preserved churches in Sweden of its era, is a 12th century structure with a clock tower and a lot of history. Linköping Castle has also seen its share of the past and has been used as a castle, prison, and residence over the centuries. The city itself has a charming Old Town and Main Square, with markets and cobblestone streets, some of which are centuries old. Luleå is located on the northern coast of Sweden’s Lapland, and it is the biggest city in the region. Luleå itself is known for its 15th century church, which lies in the Gammelstad Church Town, a UNESCO site that consists of 424 historical wooden houses typical of a traditional Scandinavian Church Town. The city of Luleå is situated on the Bay of Bothnia, where there are more than one thousand islands located offshore. Luleå offers a wonderful jumping off point for visitors to explore the islands, some of which are home to beaches, seals, and attractions like historical houses and museums. At the southern tip of Sweden lies the city of Lund, with quaint cobblestone streets and a 12th century cathedral, which is open for tours, visitors, and services and contains a famous astronomical clock that rings twice every day. The city is also home to Kulturen, an open air museum that contains more than thirty historic buildings and houses whose histories extend over centuries. With a selection of museums that include the Lund University Historical Museum, the Museum of Sketches, and the Vattenhallen Science Center, Lund is a city full of culture, and visitors will find its streets and squares utterly charming. 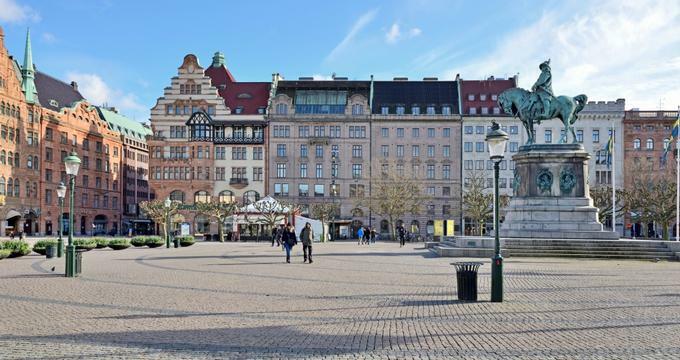 Malmö is one of the largest cities in Sweden, with a huge multicultural presence and close proximity to Denmark via the Öresund Bridge, which leads directly to Copenhagen. 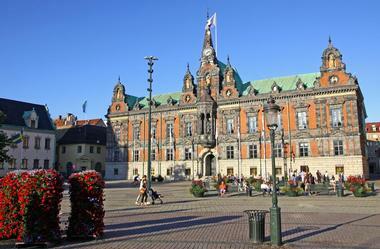 Visitors to Malmö will discover the castle of Malmöhus Slott, Stortoget Square, and the charming old town district of Gamla Staden. The food scene in Malmö is decidedly international, with everything from Italian cafes to Middle Eastern food stalls in the city, and the skyline, with the distinctive Turning Torso – the tallest building in Scandinavia – is picturesque and unique, with beautiful views from the harbor. Öland is an island located off the southeast coast of Sweden, and it is connected to the mainland by the Ölandsbron Bridge, a 6-kilometer long structure that leads to the city of Kalmar. The island is a popular destination among Swedes during the summer and even serves as the summer residence for the Swedish Royal Family, who live at the beautiful Solliden Palace on the island. The island is also home to the immense and imposing ruins of Borgholms Castle, which was originally built in the 12th century, and Eketorp Fortress, where visitors can learn about this ancient fort and even participate in some hands-on activities. At the southern end of the island is Stora Alvaret, a huge plateau made of limestone and packed with amazing flora. In Örebro, visitors can wander the streets of the Wadkoping Open Air Museum, which contains buildings, shops, and exhibits that replicate what life was like centuries ago, or explore the wide round towers and take a guided tour of the beautiful Örebro Castle. Örebro is full of attractions for families as well, from the waterslides and adventure pool of Lost City to play parks and children’s exhibits at museums. 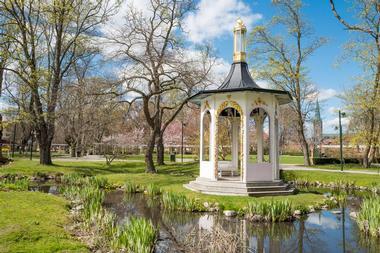 Those looking for a quiet picnic spot or a beautiful place to walk can head to Stadsparken, a lovely city park along the Svartån River. Sälen is a village located in the western region of Sweden near the border with Norway, and it is mostly known for its huge ski resort with four main ski areas. The resort offers runs for skiers and snowboarders of all ability levels, and the slopes boast a gorgeous view of the surrounding areas. The ski season runs from November until April, and the village of Sälen itself is home to some delicious restaurants and sports shops for any equipment or gear needs. It is also a point on the 440-kilometer Kungsleden Hiking Trail, which extends through northern Sweden. Sarek National Park is one of the oldest parks in Europe, and by far one of the most beautiful. With snowcapped rocky mountains that rise above glacial valleys, Sarek is located in northern Sweden and is one of the most remote parks in Europe. Visitors can walk, cross country ski, or snowshoe across lands populated by reindeer, moose, bears, eagles, and a plethora of flora and fauna, taking in nature that looks like it was pulled from the scenes of a movie. 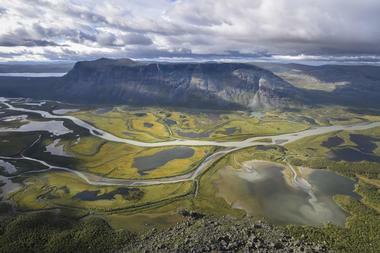 Sarek is a true wilderness without roads, and it is accessible only by foot or by helicopter. There are plenty of trails and opportunities for true wildlife enthusiasts to explore a land like no other. Söderåsen National Park, located in the southern part of the country, is a large ridge separated by several big fissures. The area is covered in thick beech forests, steep slopes, and unparallelled natural beauty. From season to season, Söderåsen becomes a much different but equally magical place, with green forests in the summer and stark rocky cliffs that take the mainstage during the winter. The park is full of trails for walking and hiking, with guided tours offered and even activities for kids in the visitor’s center. 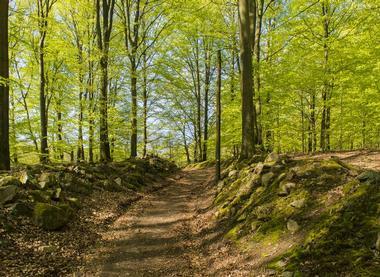 Whether explored by foot, bicycle, or horseback, Söderåsen National Park is not a sight to be missed. 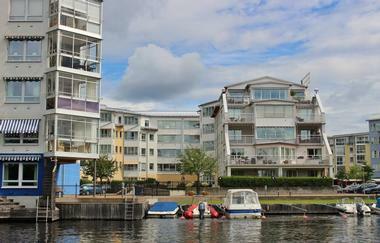 Located in eastern Sweden, Umeå is a city known for its culture. Visitors to Umeå will find a wealth of museums to visit, including the Bildmuseet Museum of the Image, the Museum of Women’s History, and Västerbotten Museum, where there is an open air exhibit with buildings from different eras and locations in Sweden’s history. And art lovers will enjoy Umeå’s amazing sculpture park, the Seven Rivers Art Route, and countless galleries and art museum. The music scene isn’t half bad either, with the extensive Guitar Museum offering live shows and spectacular exhibits for music lovers and amateurs alike, opera and theater venues, and festivals throughout the year. The city of Uppsala is only 38 minutes from Stockholm, which makes it a spectacular destination for those looking to explore the capital city while still maintaining that small town appeal. But Uppsala has much more going for it than just its proximity to Stockholm. 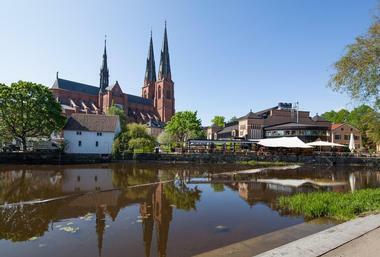 Visitors to Uppsala can tour a 13th century cathedral, wander the fascinating historical grounds of Gamla Uppsala to learn about the Vikings and ancient Swedes, or explore the beautiful home and gardens of renowned scientist Carl Linnaeus. In between all of the sightseeing, tourists in Uppsala can enjoy some of the many shops and restaurants the city has to offer. 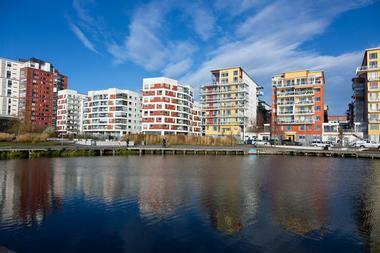 Västerås is a large city in central Sweden that is still in the process of growing even larger. Situated on the beautiful Lake Malaren, Västerås offers a great opportunity for travel and leisure by boat, on the lake, or along the canals, which lead all the way to Stockholm and the Baltic Sea. During the colder months, Lake Malaren is a wonderful place to go ice skating. Visitors to Västerås during the summer will find the biggest meet in the world for classic American cars every year in July, and the city is also home to countless other festivals throughout the year, for all ages and interests. 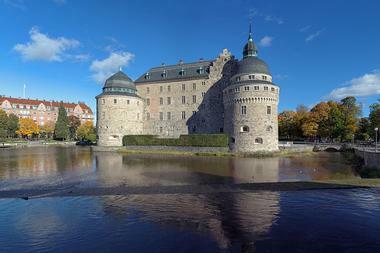 Växjö is the largest city in Kronoberg, a region in southern Sweden. 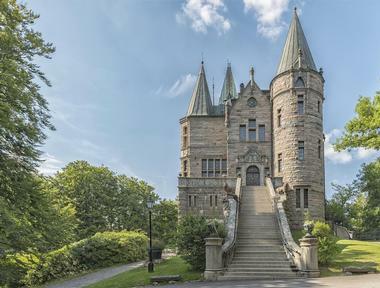 The city is home to castles as diverse as the Teleborg Castle, which was built only a hundred years ago, and the ruins of the Kronoberg Castle, which dates back to the 15th century. 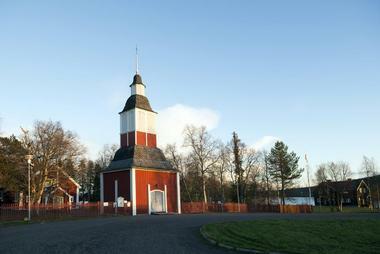 Visitors can also explore the unique Växjö Cathedral, which has two distinctive towers and a rich past. Once the history lesson is completed, visitors can enjoy restaurants, shopping, and activities in Växjö’s city center, a ride in a steam boat on the lake, or some lovely walks in one of the nature reserves in the area. 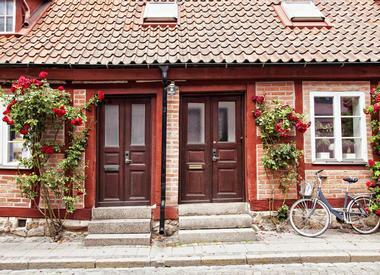 Ystad is a city made famous by the Kurt Wallander novels, which have been translated into English and adapted into several screen adaptations, but it’s more than just a setting for the books. Ystad, a beautiful and historical city located in the south of Sweden on the coast of the Baltic Sea, has numerous historic sites and a dynamic culture. 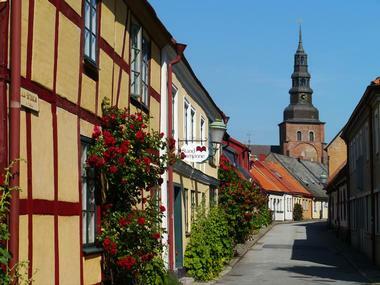 Galleries, beaches, and museums – including the Film Museum – are abundant in Ystad, and history will come alive at the Grey Friar’s Monastery, which dates back to the 12th century, or Saint Petri’s Church and the museum inside it.